At Joe Horrox Law, we take injury accidents of all kinds very seriously. This approach has allowed us to become a leading name in civil litigation in the Volusia County area. The legal process is especially important for lawsuits involving serious auto accidents. Since speeding is a major cause and contributing factor in many cases, let's look at some statistics related to speeding of which you should be aware. 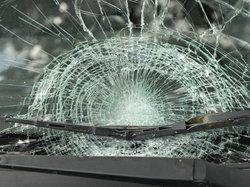 According to 2013 numbers from the Florida Department of Highway Safety and Motor Vehicles, there were 117 confirmed fatalities and 569 confirmed injuries that occurred solely as the result of a motorist exceeding the speed limit. While this number seems low, all things considered, keep in mind that speeding can result in other reckless and unsafe behaviors on the road. For instance, the Florida Department of Highway Safety and Motor Vehicles also found that there were 10 fatalities and 7,928 injuries that were the result of motorists following too closely behind another vehicle. There were 57 fatalities and 5,127 injuries that occurred because a driver ran a red light, and 24 fatalities and 2,419 injuries because a driver ran a stop sign. All of these reckless actions are common when motorists exceed the posted speed limit or drive too fast for the traffic conditions in which they find themselves. In addition to dangerous traffic conditions, dangerous road conditions and bad weather can contribute to accidents if drivers are not careful. The 2013 numbers by the Florida Department of Highway Safety and Motor Vehicles noted that 71 fatalities and 3,302 injuries were the result of drivers going too fast for the road conditions they were in. Drunk driving has been linked to a number of reckless behaviors on the road such as speeding. Numbers from 2013 showed that there were a total of 17,107 alcohol-related crashes that resulted in 859 fatalities and 11,346 injuries. There are many bad decisions you can make, and one of the worst is drinking and driving, so please do not drink and drive. Numbers and news stories nationwide have shown that young men are more prone to speeding and risky behaviors behind the wheel than other demographic groups. Regardless of the gender tendencies involved when it comes to speeding and reckless driving, be sure to stress safety and responsibility to your child when he or she starts getting behind the wheel. If you have been injured or a loved one has been harmed during a serious motor vehicle collision, our legal team will help you receive just compensation for injuries, medical expenses, property damage, and other hardships that you have had to endure. We will fight to ensure that all of your legal rights are represented. For more information about your legal rights following a serious auto accident of some kind, it's important that you contact a skilled personal injury lawyer today. By speaking with the team at Joe Horrox Law, you will receive excellent legal advice that will help you with the various challenges ahead.